The following sound piece should be played while reading the text and viewing the images. The urban and industrial landscapes that we occupy bear the scars of innumerable past traumas and acts of slow violence. Chicago’s industrial corridors on the South and East Side carved through the once-vibrant prairie landscape, first displacing the marginalized Native American inhabitants and now threatening the well-being of the communities who live there today. We are traditionally taught that the history of Chicago and of our entire country begins with the arrival of European settlers, but this history extends back thousands of years before that. It is a history that is not specific to Chicago but must be acknowledged to create a more holistic and accurate picture. It is recently driven by capitalism and the Western ideology rooted in the desire for power and dominance over the natural world. The juxtapositions between the man-made environment and the “natural” environment are intensified in urban spaces. Our relationship with the natural world has become increasingly complicated under the romantic Western notion of nature as wilderness, in which we assume that nature is an untouchable force that should not be sculpted by human hands. But this romanticized image only exists in our minds like a nostalgic dream. It is imperative that we take a step back from ourselves to understand how interwoven we are in the world around us. The reality is that as a species, we have acquired the unparalleled ability to alter the landscape and manipulate nature as a resource. Despite people’s presence around the Great Lakes for thousands of years, over the course of about two hundred years settlers have altered every area of the biosphere, leaving behind irreparable wounds. Our modern cities and industries are the greatest example of this. We look at a flourishing city and see beauty in what we have built, but it’s harder to see what came before: the countless species of birds, prairie grasses, animals, trees, and the people who lived within and with this land. When European settlers started pushing farther west, they only knew how to live off the land, as a source of wealth to be extracted. They saw this “New World” as something that needed to be tamed, domesticated, and put to human use. During the nineteenth century, Chicago was perfectly positioned at the intersection of trade routes and waterways, allowing it to become a major commercial and industrial center unlike any other in North America. Prairies were rapidly replaced by farms; rivers were diverted, reversed, and tamed; and marshland was excavated, filled, and paved over with concrete and steel to support our colossal buildings. The native grasses were burned and ploughed under, replaced with endless fields of corn, oats, and wheat. A history of astounding ecological transformation has been culminating in Chicago’s neighborhoods, most notably in the communities of the Southeast Side along the Calumet River. 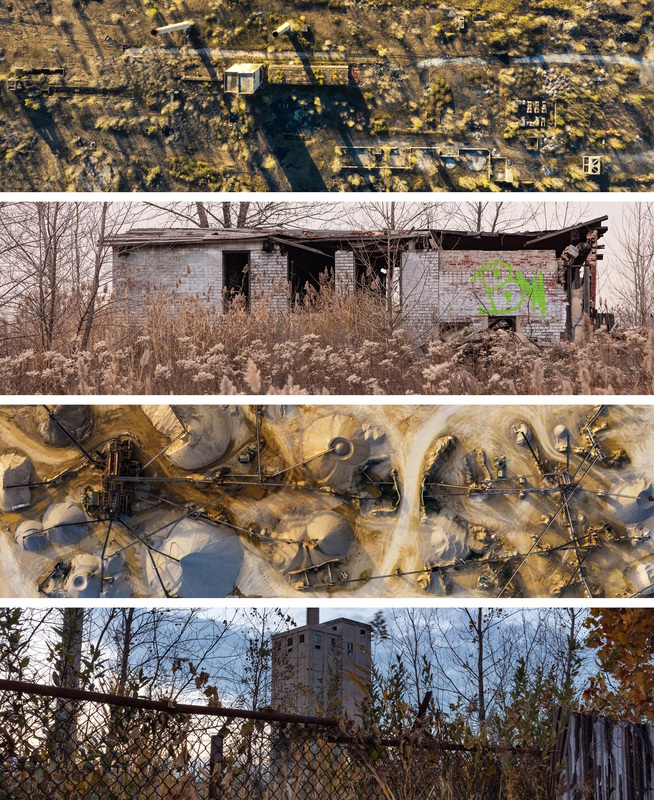 These areas are a patchwork of green spaces intermixed with blackened plots dominated by railways, shipyards, scrap yards, manufacturing sites, and abandoned steel factories. 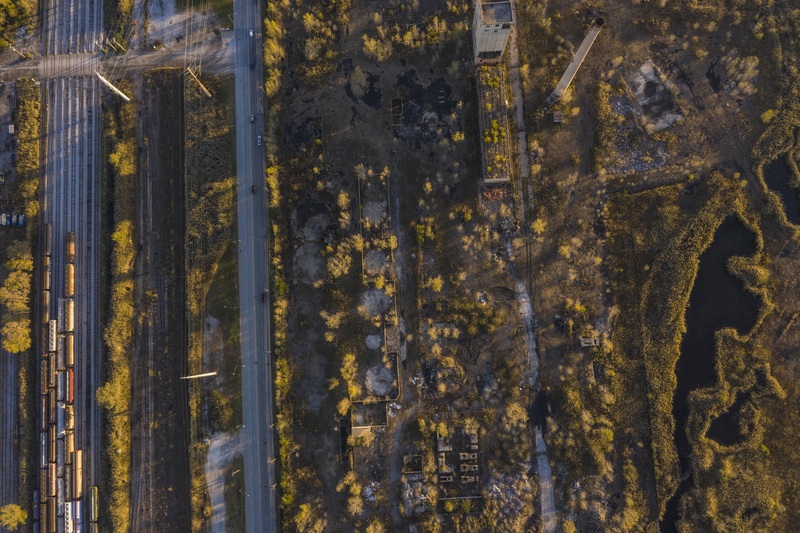 The remnants of prairie, forest, and marsh environments collide with the exhausted and polluted land. 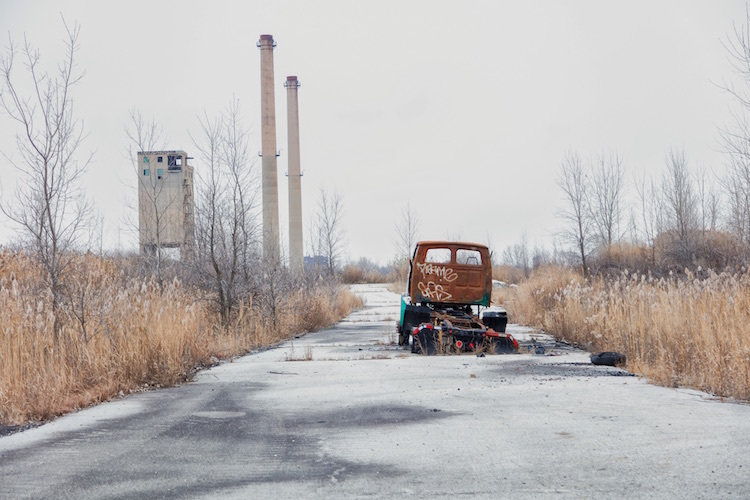 Nine steel factories once operated in South Deering, and their abandoned remains sit rusting away, slowly being reclaimed by the land. One such site, the Acme Coke Plant, is included in our photo collection. These places represent cumulative histories of pollution, exposing mostly low-income communities to toxins through the ground, air, and water. 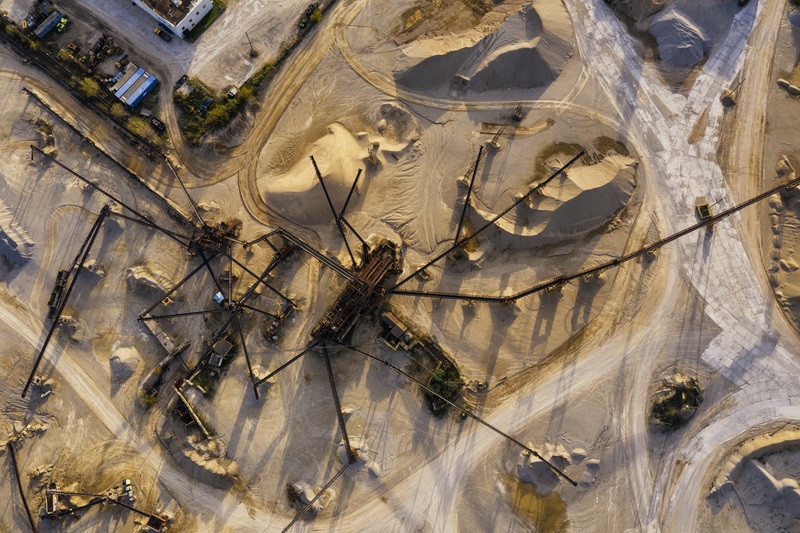 Heavy industry has been allowed to transgress neighboring communities and ecosystems, disregarding the land and our shared responsibility to it. In October 2018, the Natural Resources Defense Council released the most comprehensive map to date of the areas of highest cumulative vulnerabilities to environmental pollution. We decided to visit some of these most vulnerable areas, focusing on sites along the Calumet River on the Southeast Side of Chicago. Here, roads and rail lines segment the land, subdividing and constricting the remaining ecosystem. The contrasts among the environment, the residential areas, and the factory settings are poignant. The Calumet River, once a vital corridor of biodiversity, now snakes through dozens of industrial sites. Along its banks, marsh grasses have been replaced by walls of concrete and steel. Industrial pollutants run off into the river from sites such as the KCBX petroleum coke (petcoke) plant, which for years has been the focus of community demands to implement and enforce proper environmental regulations. Pollution from heavy industry has been an ongoing problem since the 1900s, radically changing the river and surrounding watershed. Regulations are hard won in a battle that never truly ends. In the middle of South Deering, among the industrial factories, is a place called Big Marsh, a former dumping site for slag and other toxic byproducts from the smelting of ore. Big Marsh is now a park and wetland hosting numerous species of native birds and plants. This restoration project undertaken by the Chicago Park District aims to bring back the native ecosystems along the Calumet River. While Big Marsh looks like an idyllic piece of nature, it is an entirely man-made re-creation of the environment that existed before it was subjected to industrial toxic wastes. We assume that we can simply bury the problem and continue to build on top of it, but the marks of industry will never go away. However, the Big Marsh project is an example of how we can foster new relationships with the land. People often think of land in the context of ownership, boundaries, material worth, and economics, bearing the biases and politics of the current culture. Once the land has been stripped of its autonomy in this way—once it is seen as a body to be colonized, worked, and exhausted—it becomes easier—indeed, almost inevitable—to overlook the experiential history of a place. We must learn to think about land as communal and part of a shared past. Once we’ve acknowledged land as an entity essential to ourselves and to our identity as living beings, only then can we foster a relationship of mutual respect. How we, as a society and culture treat the land is a direct reflection of how we treat one another. It is the very foundation of our social contract, a contract that we must expand to encompass a larger world outside of ourselves—a living world with which we are more intertwined than we realize. On the ground images by Adhiraj Segel. 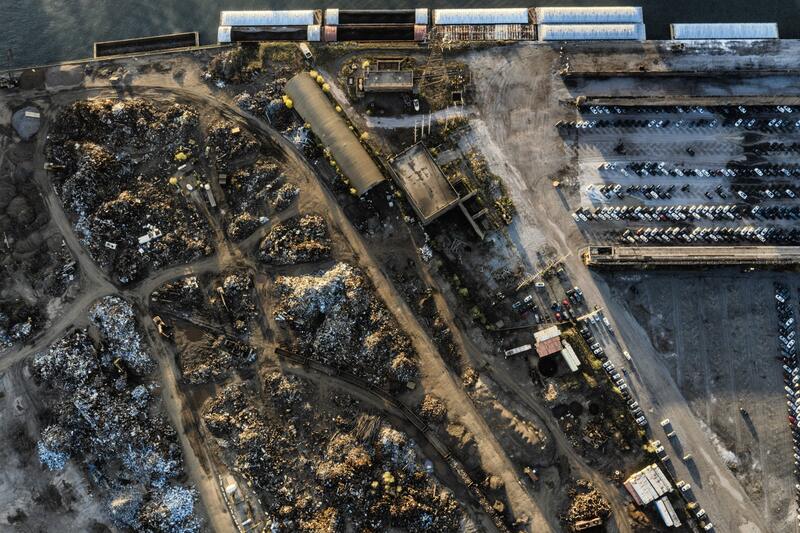 Drone images by Abdullah Quick. Sound by Eduardo Rosario: In conversation with our convoluted relationship to land, the sound piece is a meditation on the soundscape of a non-site, one of the multiple homogeneous spaces of the Anthropocene. It was built by superposing different land transforming processes into a single temporal space. Scale and distance are addressed by manipulations in the spectral and dynamic domains. It was informed by the deep listening exercises of Pauline Oliveros where real and imagined sounds can occur at the threshold of perception. Play at low volume and let this piece meld with the surrounding environment. Think about how human and non-human sounds share space. To better understand just how deeply entwined we are with the nonhuman world, perhaps we just need to listen. W. Cronon, Uncommon Ground: Rethinking the Human Place in Nature (New York: W.W. Norton, 1995), 69-90. L. Wallace, “What Would Chicago Look Like if Settlers Hadn’t Changed It?” WBEZ, March 5, 2013, at https://www.wbez.org/shows/curious-city/what-would-chicago-look-like-if-settlers-hadnt-changed-it/ba229d42-0de5-4c62-bbe4-fc47b45fccc9. U.S. Department of Health and Human Services, Public Health Service, Agency for Toxic Substances and Disease Registry, “Health Consultation: Acme Steel Coke Plant, 11236 South Torrence Avenue, Chicago, Cook County, Illinois, EPA Facility ID: ILN000509241,” August 24, 2007, at https://www.atsdr.cdc.gov/hac/pha/AcmeSteelCokePlant/ACMESteelCokePlantHC8-24-2007.pdf. M. Geertsma, “New Map Shows Chicago Needs Environmental Justice Reforms,” Natural Resource Defense Council, October 25, 2018, at https://www.nrdc.org/experts/meleah-geertsma/new-map-shows-chicago-needs-environmental-justice-reforms. K. Lydersen, “Chicago Petcoke Battle Prepared Residents to Fight for More Protections,” Truthout, July 3, 2018, at https://truthout.org/articles/chicago-petcoke-battle-prepared-residents-to-fight-for-more-protections/. 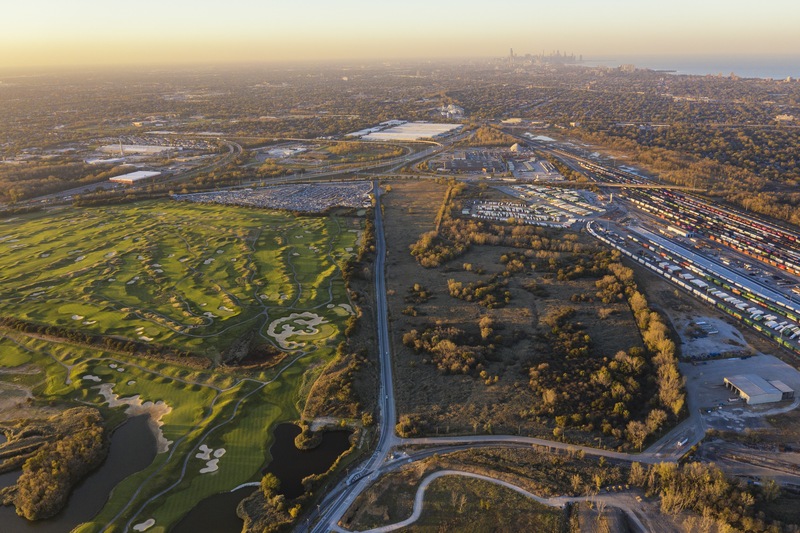 B. Schulman, “How Chicago Turned an Industrial Waste Site into a Nature Lovers’ and Cyclists’ Paradise,” City Lab, July 27, 2016, at https://www.citylab.com/design/2016/07/how-chicago-turned-an-industrial-waste-site-into-a-nature-lovers-and-cyclists-paradise/492665/. Abdullah Quick is a freelance digital artist and photographer currently attending the School of the Art Institute of Chicago in pursuit of a BFA. He is recipient of the City of Chicago’s Fifth Star Award, the city’s first Youth honoree. Adhiraj Segel is currently pursuing his BFA degree from the Photography department at SAIC. His work tries to explore the interaction of human activity and the surrounding environment while exploring ideas in the Anthropocene.